Wow, one of my all-time favorite puppies has a little brother? 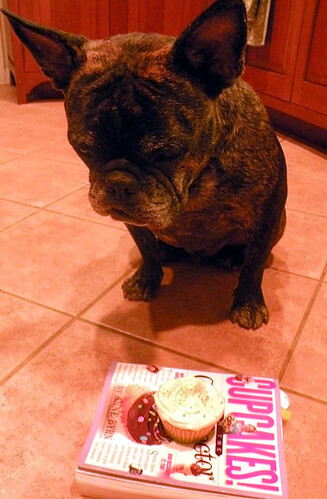 And a sweet-faced little French bulldog (?)? Yes! How does cupcakequeen trainer her pups so well? I must know! "Lovely orange cupcakes with hints of star anise, Mediterranean anise, ginger, citrus and vanilla, topped with orange buttercream frosting!" Layla and NIgel say Hi...and thanks! 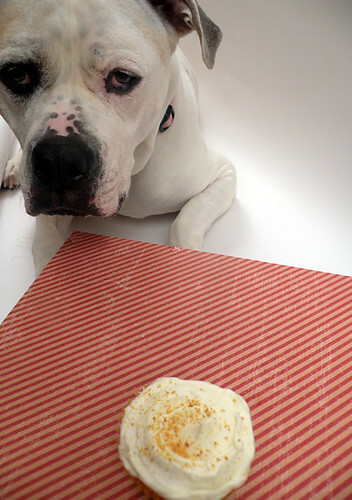 does Layla ever get a cupcake?